Fifth Harmony accept their Teen Choice Awards in style as they tell fans to "share the love". 6. 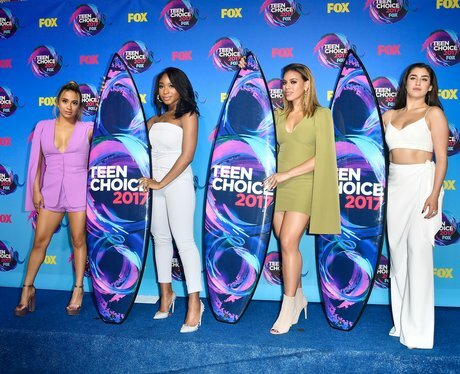 Fifth Harmony accept their Teen Choice Awards in style as they tell fans to "share the love".